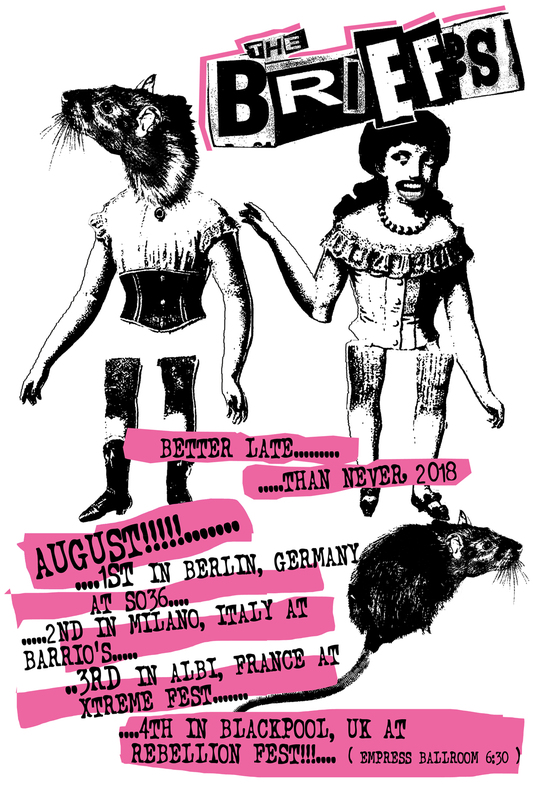 Hey, we´re excited and so damn happy to spread the news that The Briefs will be back after 10 dark and lonely years. Make sure to be there and show ´em all your love!!! Ok, we let the cat out of the bag! 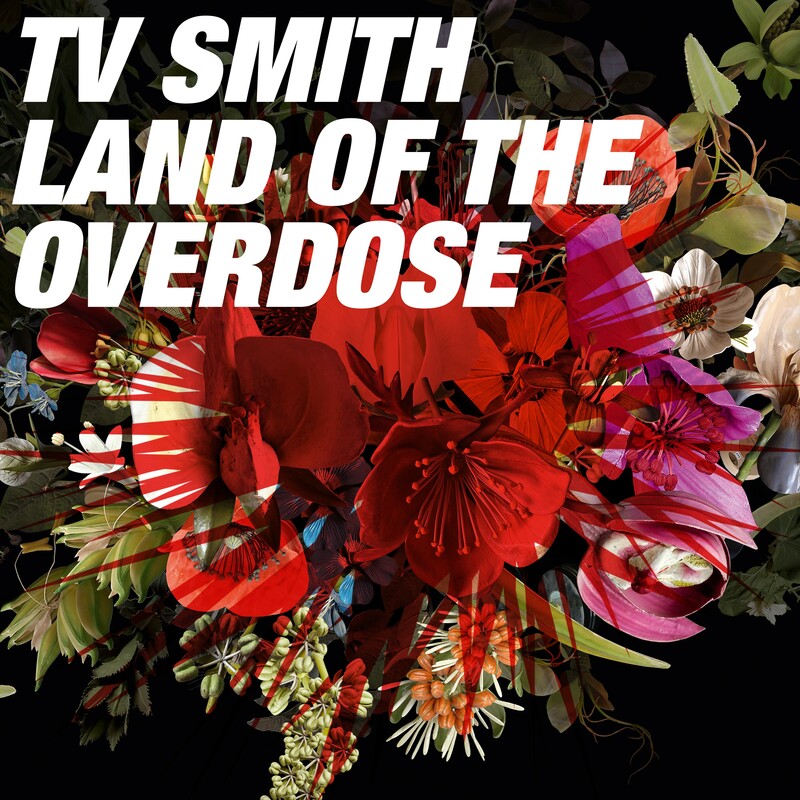 We are really happy and proud to announce that TV Smith's new cd "land Of The Overdose" will be out at 14th of september 2018, released by JKP, the record label from the Toten Hosen. It is his 17th solo album which TV Smith, started 1976 as the singer of the legendary punkrock band The Adverts, wrote and recorded in the studio completely by himself. The change of the political scene, the Brexit and espionage activities in social networks gave TV Smith enough reasons to put his rage about it in lyrics and make new songs. We can't wait to hear them! Of course TV Smith will play the new songs and his well-known hits during the "Land Of The Overdose Tour 2018" which starts at 27.09. in Cologne. 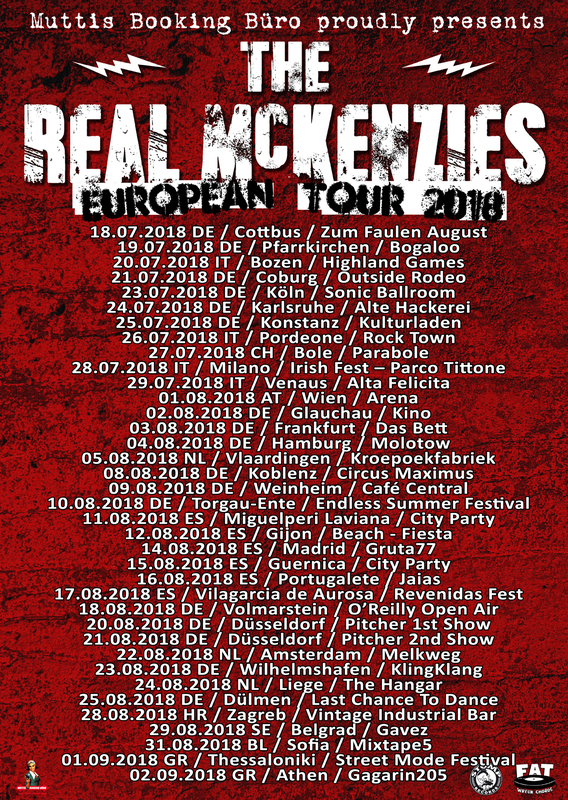 13.12.2018 DE / Dortmund / FZW "Copacabanana Festival"
The Real McKenzies tour starts in two days! Warm Up is Zum Faulen August, Cottbus , after that 36 more shows will follow. So they only playing a mini-tour this year. We hope to see you all soon in front of the stage, at the merch table or at the bar! See you all soon! CHEERS! our bands are out on the road again to play some festivals and club shows. We got a couple of bands at the great "Back To Future" and "Mighty Sounds". Hope you already on the way to one of the these festivals. Have a wonderful weekend everybody! CHEERS! 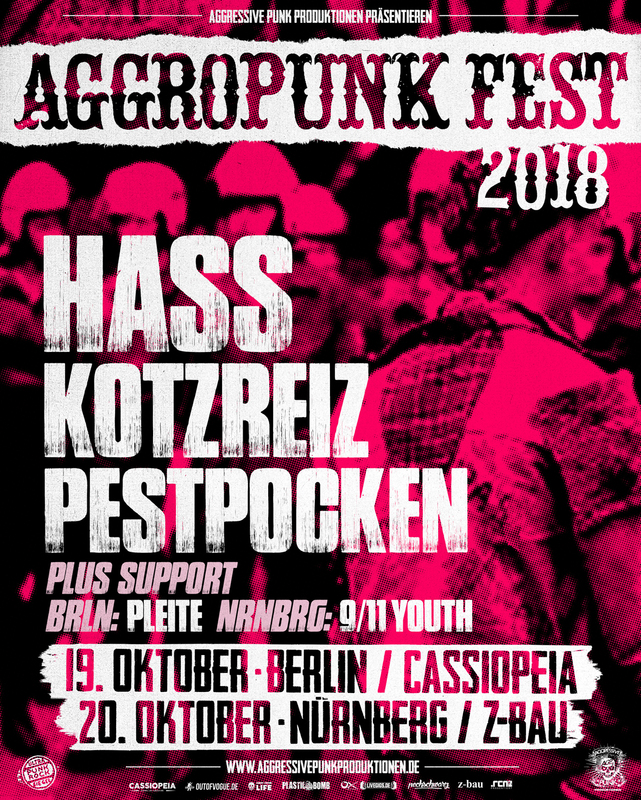 Cyanide Pills will be back for a short tour through Germany! They start at Freak SHOW, drive up to the north - to Lübeck and will have their last show at the great BACK TO FUTURE! Hope you got your tickets for the shows already. It will better than any football game, promised. So make no mistake - THE MISTAKES are great !!! F**king great Punk Rock from Poole / Dorset / England ! Its so f**king right to work with this great bunch of lads now, we became friends in a hard beat ! Their sound can be described as The Clash meets Rancid meets Dropkicks meets Streetdogs meets Beatsteaks ! Yes, Beatsteaks and so The Mistakes will come to Berlin to record their first full album with the help of one of the Beatsteaks family members soon !!! We will tell you more details about it when it all happens. In the meanwhile listen to their selfproduced EP 'Anti-Social Media', well... best on a social media, like on Spotify - hahahaha !!! Endlich bekommt die Meute was sie braucht.